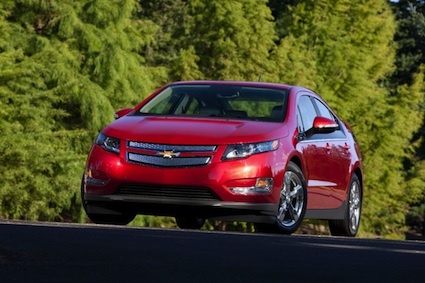 The second-generation Chevrolet Volt to debut for 2016 model year. Sales of the Chevrolet Volt fell by 1.6 percent in 2013 to 23,094 units, but that isn’t stopping General Motors from pressing forward with its plans to bring the second generation of its unique hybrid-electric car to the market. Sales of the Volt are far below the 45,000 annual units the automaker had initially projected for calendar year 2012, a model that has also spawned Opel/Vauxhall, Holden and Cadillac variants. This week, GM announced that it would invest $449 million to upgrade the processes at two of its manufacturing plants Detroit-Hamtramck ($384 million) and Brownstown Battery Assembly ($65 million) as it prepares to introduce its updated PHEV models. The investment made in Hamtramck since 2009 will now top $1 billion, part of a $2.8 billion technology expenditure the automaker has made over the past five years in Michigan alone. Detroit-Hamtramck will receive equipment upgrades, new body shop tooling, and other improvements to build the second generation Chevy Volt and two other products. Its Brownstown investment will support the next generation of lithium-ion battery production and other battery systems. The Chevrolet Volt and like models are known as extended-range vehicles, powered by an electric propulsion system. The current models run on electric-fed power for upwards of 38 miles before a 1.4-liter gasoline generator kicks in. That generator sends energy to the propulsion system to turn its wheels. At present, Detroit-Hamtramck produces PHEVs for markets in 33 countries; additional production capacity is reserved for building the midsize Chevrolet Malibu and large Chevrolet Impala sedans. Brownstown Battery is located south of Detroit and is the sole plant producing lithium-ion batteries for GMs PHEVs. GM says that it is a landfill-free plant, one made possible in part by a US Department of Energy grant. It is also the first high-volume battery plant of its kind operated by a major car manufacturer. What GM will do to improve upon its Voltec platform is not clear although the automaker would like to extend its electric-only range, perhaps to somewhere between 50 and 60 miles. The automaker may also produce a lower cost base edition with a smaller battery pack, one with a range somewhat closer to the current 11-mile range for the 2014 Toyota Prius Plug-in. That would allow GM to cut the Volts base price, even pushing it below the $30,000 threshold. However, any reduction in range will also reduce the federal tax credit many customers receive, currently pegged at $7,500. The Prius PHEV is assisted by a $2,500 tax credit as per the EPA. Beyond the Chevrolet Volt and its current variant, GM may bring out a crossover version, possibly reserving that model for Buick or GMC. What GM also wants is a model better suited to take on the Tesla Model S, a long-range electric-only vehicle. If GM goes with such a model, it could replace the Cadillac ELR and compete wheel-to-wheel with Tesla. Full vehicle electrification and a 200-mile range? We’ll see. GMs electrification news comes as the company is embroiled in an ignition safety recall for six retired vehicles 2005-2010 Chevrolet Cobalt and Pontiac G5; 2003 to 2007 Saturn Ion; 2006 to 2011 Chevrolet HHR; 2006 to 2010 Pontiac Solstice; and 2007 to 2010 Saturn Sky. GM CEO Mary Barra has provided testimony before Congress and dealers have begun making repairs to the more than 2.6 million affected vehicles.